Description: The modern Ballrink is the perfect place for a game of street hockey. The round corners, high boarding and free-standing goals make for continuous action just like in a game of ice hockey. 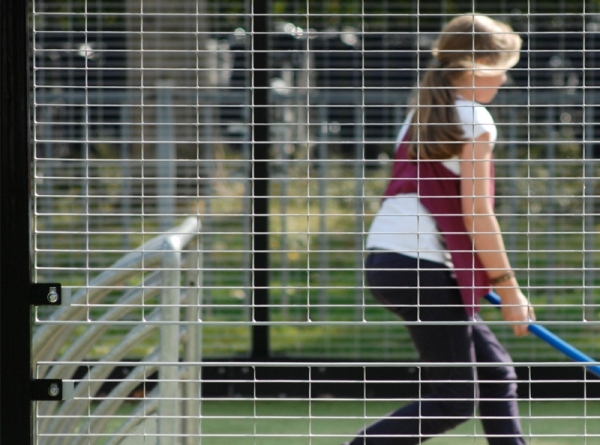 The rubber strip catches the ball and prevents noise disruption. 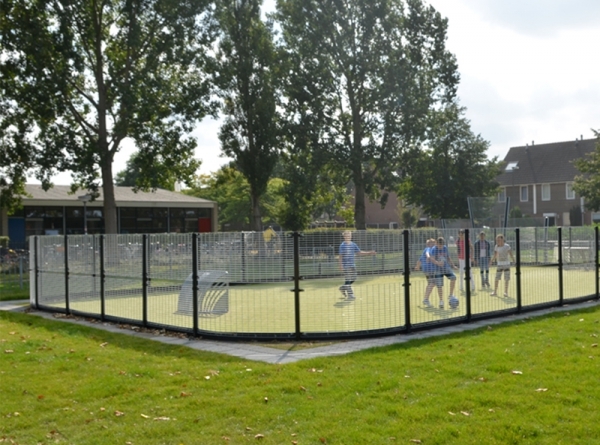 The Ballrink’s modular set-up means it is available in various sizes. 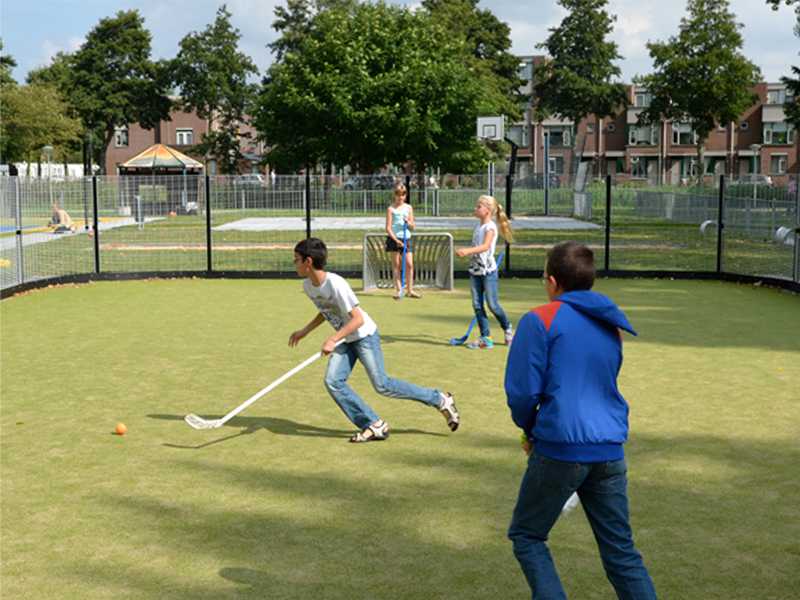 With an asphalt playing surface, the Ballrink is perfect for a quick game of Roller Hockey. 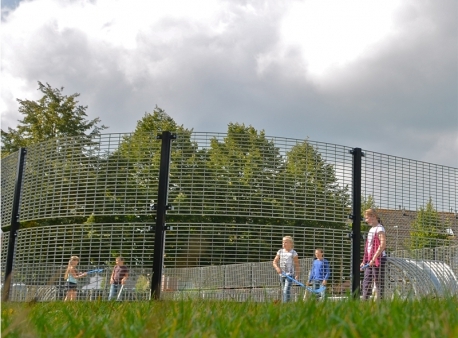 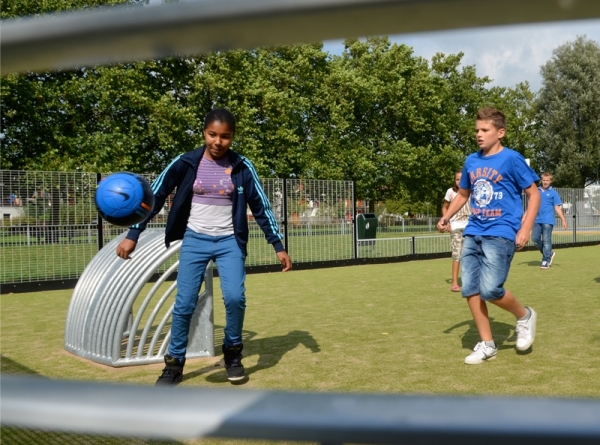 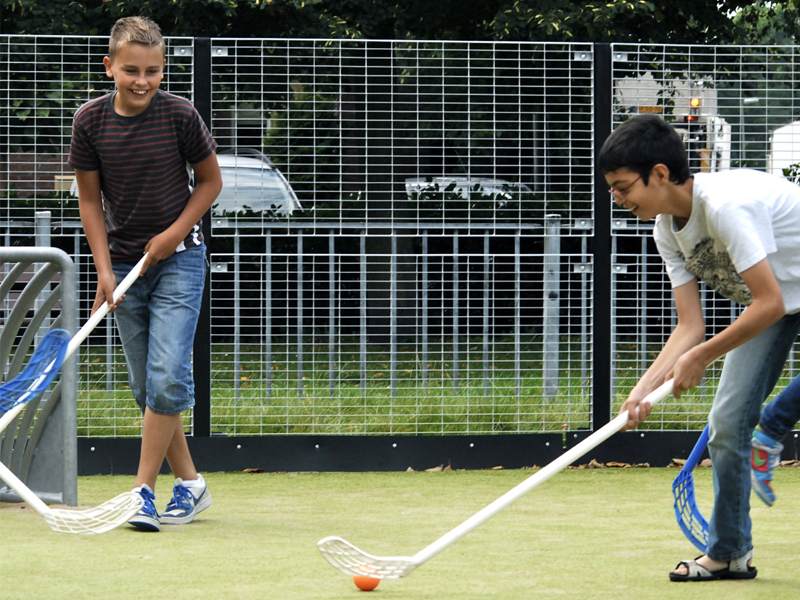 The Astroturf or pavement tiles are perfect for street hockey or floorball.